FORMER Crow Ricky Henderson has become a Hawk on the final day of the first delisted free agency period. 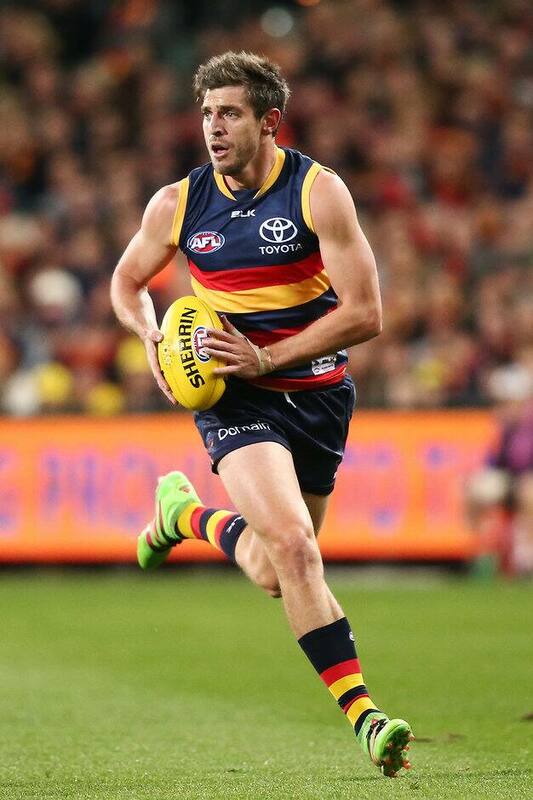 The 28-year-old played 90 games with Adelaide from 2010-2016, but was left out of the Crows' two finals in 2016. A running utility, he is a good user of the football who will add depth to the Hawks after it lost Brad Hill to Fremantle during the recent trade period. Henderson, from Trentham, Victoria, can play in a variety of positions including the wing and provide run out of defence. Hawthorn became the biggest player in this year's trade period as it traded out four-time premiership players Sam Mitchell and Jordan Lewis as well as Hill and traded in Jaeger O'Meara, Tom Mitchell and Tyrone Vickery. Hawks list manager Graham Wright said, "Ricky is a terrific addition to our list and has the versatility to play both in the midfield and across half-back. "We look forward to welcoming him to the club and seeing what he can produce in the brown and gold." Henderson and former Fremantle midfielder Michael Barlow were the only players taken in the first delisted free agency period as clubs took a wait and see policy on experienced players ahead of what is expected to be a strong draft. After playing in a Grand Final just over a month ago, delisted Sydney forward Xavier Richards may have to wait until the NAB AFL Draft or Rookie Draft to extend his career. Essendon has met Richards but whether the Bombers pursue the 23-year-old remains to be seen, with coach John Worsfold confirming on SEN the club had also spoken to former Brisbane Lion Josh Green. Green said last week he was busting for another chance at AFL level after 81 games with the Lions and he heads a long list of players that face a nervous wait. Along with Green, former Demons Jack Grimes and Chris Dawes, Dockers Alex Silvagni and Matt de Boer, Gold Coast's Clay Cameron, Carlton's Andrejs Everitt, Port Adelaide's Cam O'Shea, Hawthorn's Angus Litherland, North Melbourne's Drew Petrie and Western Bulldog Will Minson may have to wait until the rookie draft on Monday, November 28. A second delisted free agency period will reopen on Thursday and run until Friday, November 18.